Next federal election Victoria Rollison please be a candidate for the Labour Party. Love to see you action in question time. You would blow their brains out. keep up the good work. 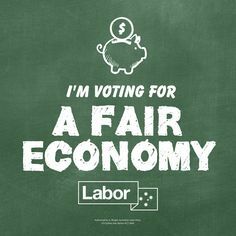 Australia urgently needs a fairer redistribution of wealth the past four years have seen the tory redistribution of wealth away from the people and into the foreign corporations. neoliberalism is dead, that trickle-down doesn’t work, that a tax cut doesn’t create jobs and that cutting wages is economic suicide. trickle down works when it is obvious that the rich maintain the poor who don’t deserve it. Just ask them or read the papers. mal she is an Adelaidian women of ‘power’ not a pom. Should the unions follow the vile ‘independent’ tribunal controlled by the pollies(gillard’s folly) the surplus would disappear next year.